Our Stainless Steel products by DSA are a superior product in terms or durability. DSA Spinners are the way to go..
and Still Made in the USA! 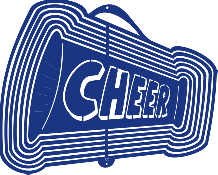 Hello Cheerleaders THE NEW "CHEER" Spinner is here!!! They are beautiful and available in Blue & Green right now. Want to be kept up to date on products and services? 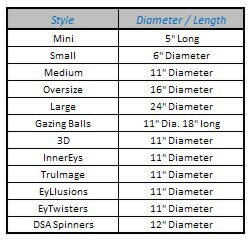 Enter you name and email address and we will add you to our 3D Wind Spinners mailing list. Beautify your home with our incredible Wind Spinners / Wind Ornaments. Metal 3D Wind Spinners provides a full line of these unique ornaments. Displaying any of our products will immediately increase the beauty of your home. These metal wind spinners make unique gifts and awesome garden ornaments. They will look great on your porch or deck in several designs including 3D. We stock a wide variety of styles, designs, and colors to satisfy everyone's preference. These are quality products that are backed by warranties directly from the manufacturers. The reflectivity of light from the sun as well as electric lighting shows an amazing pulsating effect. As our wind spinners spin in the wind outside, or we sell motors which are available for indoor use, they are sure to catch everyone's eye. 3D Wind Spinners carries many metal spinning ornaments. If you don't see the Spinner you want on our site, contact us and we will inform you with price and availability.